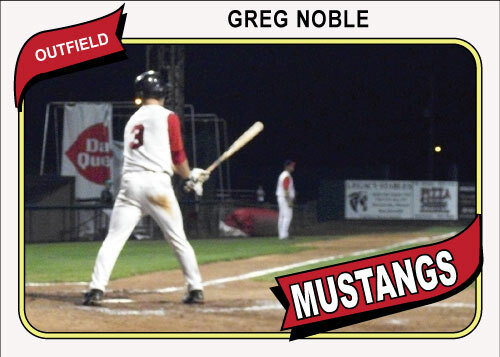 The Mustangs beat non-league opponents Omaha Strike Zone handily tonight 13-7. A non-league opponent means that several of the bench players will get into the game so several players played that don’t normally see a lot of action. I actually got to watch several players I hadn’t seen before. One of these was John Wegener. It looks as if it was Wegener’s first action with the team and made a very good impression. He started the game with a triple to right center field then followed that with a double to left center later in the same inning. Wegener would end the day at 4-5 while driving in 3 runs. The 8-run first inning set the tone for the game. Brent Seifert continued to hit well by going 2-5 with 4 RBI. Seifert blasted a long home run to straight away right field as the third batter of the game to put the home team up 3-0. Several Mustangs had good a good day at the plate including the catcher from St. Joseph, Andrew Nellestein who was 3-5 with 2 RBI. It will be interesting to see how the Mustangs work somebody like Wegener into the lineup. I wondered how they could get Seifert, Robinette, Koerper and Chaffin all in the lineup earlier this year but they solved that problem by giving 3rd year Mustang Brent Seifert some time at second base. I don’t know who will sit to get Wegener into the batting order but I do know that it is a good problem to have. 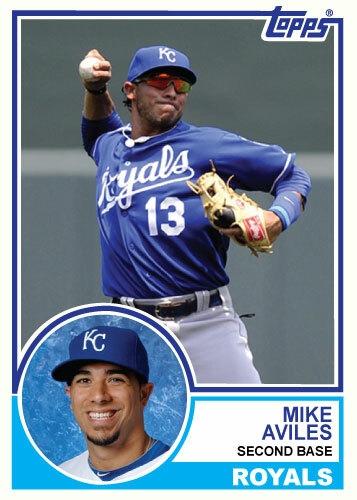 Here are a couple of guys who are working their way back to the Royals. Aviles and Tejada are both currently not on the major league roster. Spiker Helms had a huge 3 run double tonight to lead the Mustangs to a victory of Clarinda 6-4. Helms’ double came with the team down 2 runs and put them up 1 for a lead they would not relinquish. 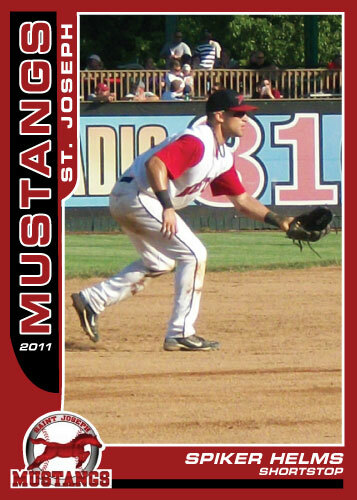 This is a St. Joe Mustangs set I made last year that has never seen the light of day. 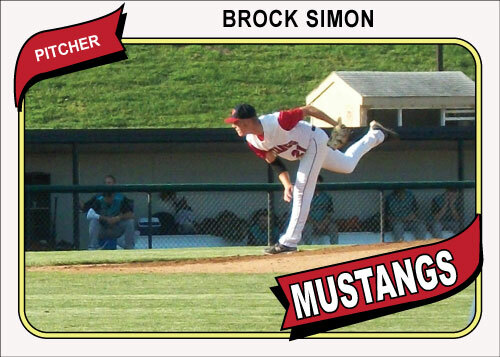 I did three players that are no longer with the team in honor of the Mustangs scheduled off day. 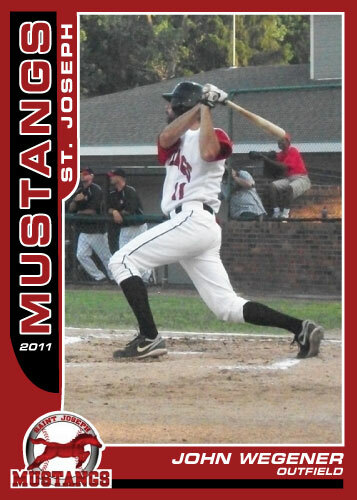 Tomorrow the 2011 Mustangs kick off a huge home stand of 11 games in 12 days at home. I see a lot of baseball in my near future. 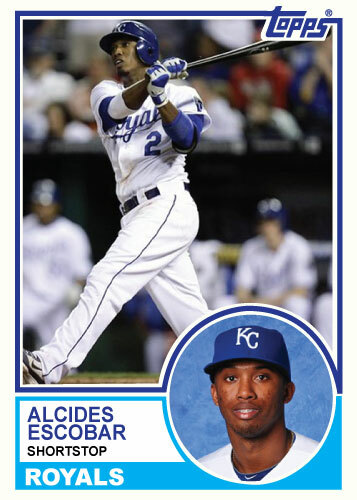 Alcides Escobar should be an All-Star this year. Alcides Escobar should win a gold glove this year. Neither will likely happen even though they should. The Mustangs fell to the Sedalia Bombers in a ugly 1-7 affair tonight. There isn’t really a whole lot to say about the game, The Bombers just played better than the Mustangs. 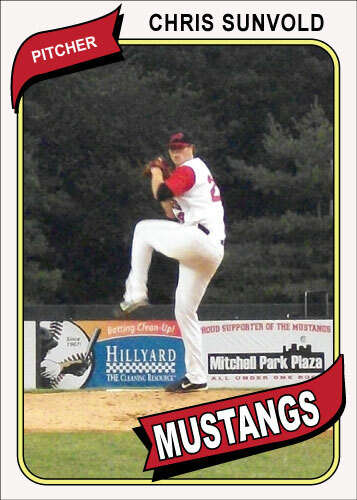 It was disappointing because Adam Maddox was on the mound and that is usually a game the Mustangs win. 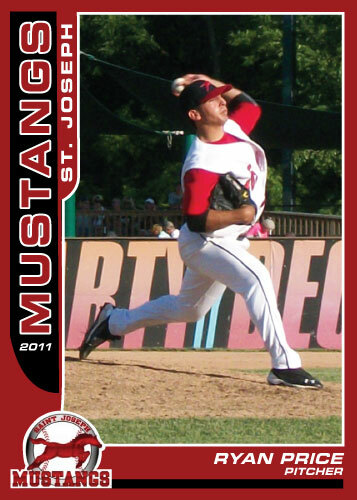 Ryan Price is a reliever for the Mustangs this year, it is his first year with the team and here is the 2011 card of the left hander. Price has been a workhorse so far for the ‘stangs, he is tied for the team lead with 10 games pitched in. 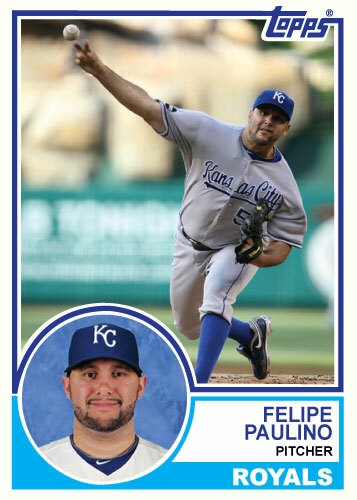 The had got to be Felipe Paulino’s first Royals card. 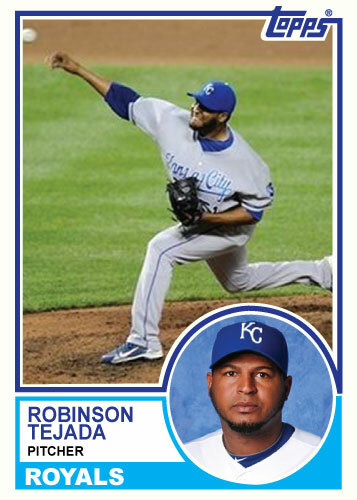 He was an add on to the Royals team this year but has pitched as well or better than anyone that has been in the rotation.